A customer of mine decided to go with a Canon copier, the salesman (snake oil salesman) told them that Kyocera/Copystar was a foreign company and was made outside the USA, hello! Canon is not a USA born company and also makes most if not all parts overseas! Now this customer has to deal with changing drums every 35k copies! instead of the long yields of a Kyocera of 400k! This customer calls me in and wants me to help them out now. Why do people have to find things out the hard way? My company is the most honest upfront copier dealer on Long Island, we are here for you but this decision they made, this will cost them dearly. Canon is NOT all what it is made out to be. Can you get me out of my lease? I have often come across a customer asking me to get them out of a lease, this is a very difficult situation. Sneaky salesman will often try to “lock in” a customer into a 5 year lease, by doing this, they lock up that customer for five years and even if the company goes out of business, you are stuck with the lease payment. I have been doing this for 27 years, when you are in a lease and if your service provider goes out of business or if the machine fails miserably, you are still stuck with the lease. The salesman can get you out of the lease by asking for a buyout from your leasing company, after the leasing company gives that amount, lets say $4500.00, the salesman will take that amount and add it into the cost of the new copier, he will then try and get you into another five year lease to reduce the monthly payment. You will pay dearly for this! You have been reading my posts for a while now, you know what to expect, they’re are so many customers still out there that get burned by the greedy salesman. Never go into a five year lease, never! There is such thing as a dollar buy out lease, which means at the end of the three years, the machine can be bought for $1.00. I recommend this type lease only if you trust the selection of equipment selected by your current company. Remember, if it is a troublesome machine, you bought it. Only trust a technician who is a veteran in the business to make this selection. Salesman only sell, that is what they are good at and 95% of them only know the brochure and nothing regards to actual service history. Quite honest, most salesman are full of BS. I would also only recommend a dollar buy out lease with a customer doing low to medium copy volume. If you do high volume, lets say 150k copies a year on a 30 cpm copier, then you should not do a dollar buyout. The reason is, in three years you will have at least 450k copies or better, that meter count is very close to what the copier life expectancy is. Remember, I am not a Snake oil salesman, I am telling you the facts coming from a veteran copier technician of 27 years. Now, if your yearly volume is 60k, then yes! dollar buyout and keep the machine for 6 plus years! My next blog will be about why it is important to take control of your lease and not leave it up the the salesman. We are known for our honesty and fair pricing along with outstanding service. What more can you ask from a copier company? visit us online @ http://www.longislandcopiersales.com ask for Phil or Peter, we will give you advice like no other copier company can. We stride at being Long Islands best copier rental equipment company,we focus on Nassau & Suffolk Counties on Long Island. 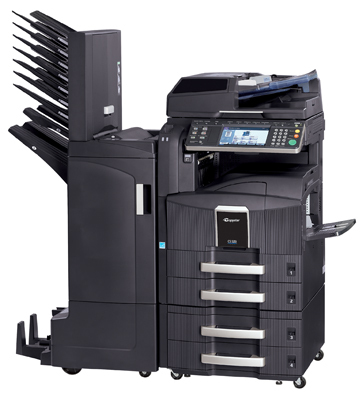 We can rent you a small desk top copier (20 cpm) to a large Industrial copier 105 (cpm). You will be greeted by very friendly courteous employees from the Sales to the delivery and to the repair (if ever needed). PJD Business Machine have been in business selling and servicing Long Island for more than 20 years. An Independently owned and family operated Company located in Seaford Nassau County Long Island. Are you an out of state company and are you planning an event here on Long Island? Call PJD Business Machine today and get your free quote on what ever your needs may be, we can provide you with just a copier or an entire office! We rent copiers, fax machines,laser printers, scanners, shredders and we can even have an on site technician if an emergency meeting happens, we are an honest Copier company and will only sell you what you need. We Are Long Islands Copier Rental Company,Who Else Can You Call In One Day Notice, To Rent A 50 Page A Minute Copier And Have It Delivered The Same Day? Rent this 50 cpm printer/copier for $300.00 a month!! service included!! 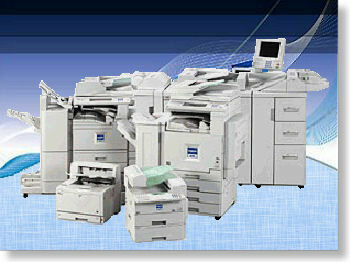 As you can see,we can rent you anything from a tabletop copier to a 105 cpm floor model machine. Professional courteous service is our business, we take special care in moving copiers in and around your office, you can count on us for perfection every time!